The international scandal swirling around Canadian technology firm AggregateIQ has deepened, with British lawyers making public stacks of documents allegedly showing the Victoria firm participated in a plan to break U.K. election law during 2016’s Brexit referendum. The furor over the allegations has also led to more questions about the role of two senior advisers of Prime Minister Theresa May, as well as senior cabinet ministers, including Foreign Secretary Boris Johnson. Mr. Johnson has called the allegations “ludicrous,” and Ms. May is standing by her officials. Executives at AIQ have also vigorously denied any wrongdoing and insisted the company followed all election laws. At a news conference on Monday, a London lawyer who is a member of the legal team for whistle-blowers including Canadian Chris Wylie, produced copies of e-mails, chat-room discussions, photographs and other material alleged to show AIQ executives were involved in a plan to unlawfully boost spending by the Vote Leave campaign. The lawyer, Tamsin Allen, said the documents and many others are evidence that AIQ’s president, Zack Massingham, had a role in two related organizations: the official Vote Leave campaign and a youth-oriented group called BeLeave. Under election law, the organizations were supposed to be run separately with their own budgets and managers. Ms. Allen alleged that Mr. Massingham and several Vote Leave officials were directly involved in both campaigns and provided key services and oversight. That allowed Vote Leave to spend well above the legal limit, she alleged. 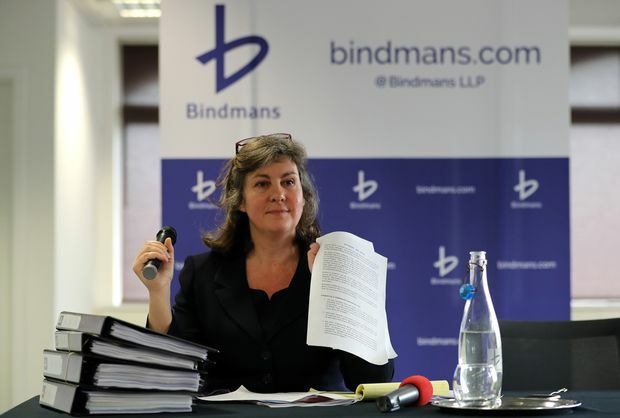 Tamsin Allen of Bindmans LLP holds up documentation during a press conference on March 26, 2018 in London, England. During the referendum campaign, Vote Leave officials devoted about 40 per cent of their final £6.8-million ($12.4-million) budget to AIQ’s services. After the referendum, which Vote Leave won by 52 per cent to 48 per cent, AIQ was hailed for its novel use of social-media advertising. 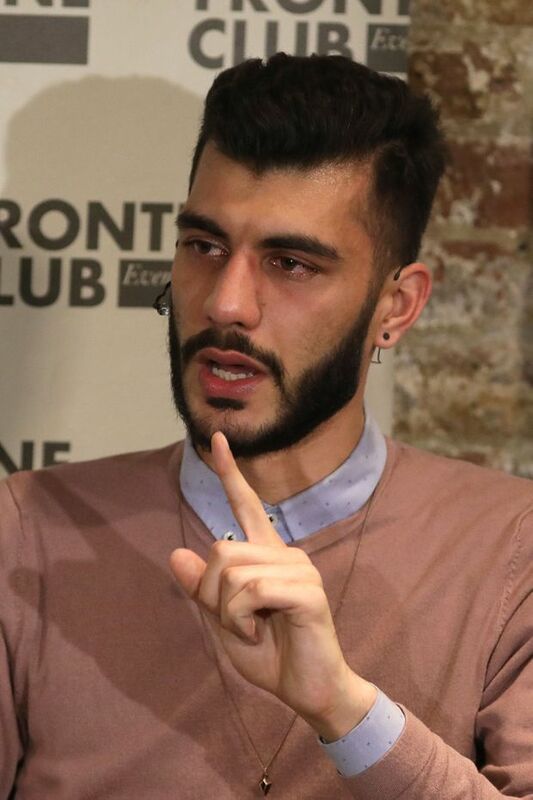 Whistleblower Shahmir Sanni speaks during a press conference at the Frontline Club on March 26, 2018 in London, England. According to Ms. Allen and the documents unveiled on Monday, Vote Leave set up BeLeave just weeks before the June 23 vote because it was running up against the £7-million ($12.8-million) campaign-spending limit. Copies of exchanges from a chat room show that BeLeave was quickly created as a separate entity with its own constitution, drafted by Vote Leave officials and headed by 22-year olds Darren Grimes and Shahmir Sanni. Ms. Allen said the documents indicate the Vote Leave campaign then funnelled £625,000 ($1.14-million) through BeLeave to AIQ in the final days of the campaign. After the referendum, Vote Leave officially reported spending £6.8-million ($12.4-million), of which £2.7-million ($4.9-million) went to AIQ. However, AIQ also received the £625,000 ($1.14-million) from BeLeave, which Ms. Allen alleged should be included in the Vote Leave total. That would put Vote Leave well over the £7-million ($12.8-million) limit. She said the copies of chat-room exchanges from Slack and Facebook show Mr. Massingham participated in strategy sessions involving people from both campaigns and co-ordinated advertising blitzes for Vote Leave and BeLeave. Officials from the two campaigns used the same Google drives to share documents, and AIQ set up an online Slack channel to discuss the social-media tactics with officials from both campaigns, the documents show. “Once we turn everything back on we’ll start to see results based on the new segments,” Mr. Massingham said on the channel to a BeLeave staffer, referring to new blocks of data that Ms. Allen said would have come from a Vote Leave database. In the same Slack exchange, Mr. Massingham talked about when ads would start appearing on social-media platforms, suggesting that “the hard stuff” would be avoided in favour of “softer [ads] over the weekend which favors well for all of your stuff.” Ms. Allen said “hard stuff” referred to traditional Vote Leave ads while “softer” meant BeLeave ads targeted to younger voters. Several photographs released on Monday also showed Mr. Massingham and AIQ’s chief technology officer, Jeff Silvester, working at the Vote Leave headquarters in London during the referendum campaign. Among the others who appeared in the documents were Vote Leave’s campaign director Stephen Parkinson, who is now a special adviser to Ms. May, and Cleo Watson, who was director of outreach at Vote Leave and is a political adviser to Ms. May. The documents include e-mail exchanges that show both were involved in co-ordinating and approving BeLeave campaign literature and events. Both have denied any wrongdoing and Ms. May has come to their defence. Ms. Allen said she has given four binders of material to Britain’s Electoral Commission, which has launched an investigation. 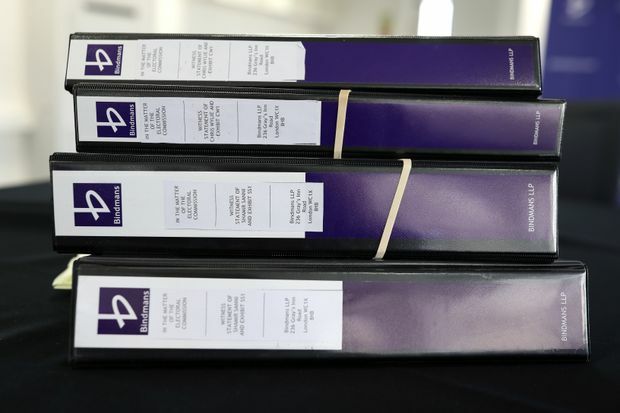 Witness statement files are seen in the offices of Bindmans LLP. Mr. Wylie will appear before a British House of Commons committee on Tuesday, and said during Monday’s news conference that he will speak more about AIQ. He also said he knew Mr. Silvester and Mr. Massingham well, and helped set up AIQ in 2013. All three are from Victoria and knew each other from Liberal Party circles in British Columbia, he added. Mr. Wylie said he met Mr. Silvester last year to discuss AIQ’s role in the Brexit referendum and he admitted the company helped Vote Leave evade spending rules.